Our team is made up of extraordinary people who specialize in different aspects of our industry. Most of us have either been an athlete, athletic trainer or fitness guru in our own right. We are happy to share our stories with you! This refreshingly simple concept has anchored the growth of RecoveryPump (now RP Sports) since its humble beginnings in 2011 in Glen Mills, PA. In between Bensonhurst and Glen Mills, however, was an all-important period that began at the University of Maryland, where Steve pursued a degree in math and computer science. It was the early 70’s and Steve was in the forefront of this groundbreaking technological era, writing computer programs and designing systems. His entrepreneurial spirit flourished as his skills were in demand as an independent contractor, writing systems for a variety of clients. Upon developing a claim-processing program used by a hospital outpatient facility, it occurred to him that this same system could prove effective in a doctor’s office setting. This ability to create a billing system – and get paid – led to a contract in Pennsylvania, and ultimately, the formation of Medical Solutions Supplier in 1994. Steve is quick to credit his wife, Renee, for her constant support and the sacrifices she was willing to make to enable him to pursue his vision for RP Sports. “My family is everything to me. I am blessed to share my life with the best partner imaginable, and my daughters Jayme and Chelsey are a constant source of pride for me.” Jayme is a successful attorney who performs as a singer in her free time. Chelsey is a key member of the Medical Solutions Supplier team and a loving mom to Steve’s only granddaughter, Lexi. Though grateful for the success he has enjoyed in business, to Steve these treasures are greater than any professional accomplishment. Brian Carberry was officially named President of RecoveryPump at the close of 2015 after serving as National Sales Team Manager for close to three years. Long before RecoveryPump, Carberry’s expertise with pneumatic compression pump therapy began with Medical Solutions Supplier, an award-winning durable medical equipment supplier based in Glen Mills, PA. The dramatic results achieved through this therapy by patients with circulatory conditions led to research that confirmed its potential benefits to the recovery of high-level athletes. Brian joined RecoveryPump in 2011 as the Company’s first sales representative. His success in this initial test market proved that there was demand for the product. Outlining a plan for national coverage through regional sales representatives, Carberry was promoted to National Sales Team Manager, while dually serving as Director of International Sales. In 2015 his role expanded to encompass oversight of operations and marketing, leading to his current position as President. Along with creating our content, core messaging & social posts, Jillian is the whiz behind the look of RP Sports’ website and marketing materials. She is a graduate of the Pennsylvania Academy of Fine Art, where she majored in painting, as well as a graduate of Hussian School of Art and Design where she mastered digital techniques & composition. Rodrigo is our numbers wizard. He has extensive experience as a controller and financial adviser. He keeps our inventory in check and puts our numbers in line. He is our very own clairvoyant, creating thorough forecasting reports and guiding RP Sports in the right direction for future growth. Other than the thrill of numbers, Rodrigo loves spending time watching action films with his family, playing golf with his wife and mastering his poker face while playing cards regularly with friends. Rodrigo can be described as the rudder of RP Sports ship. With his guidance, we can steer our company towards success! Jo is the true definition of a "People Person" with years of experience in pin pointing customer needs with a fierce resolve to solve any problems. As a swim coach & yoga instructor, she understands the importance of supporting athletes and clients with an active lifestyle to push towards their goals of physical potential. She is the “Go to” gal for orders, general company and product information. As our front house operations manager, Jo takes pride in providing the most outrageously great service possible, so call today and she will ensure you train hard & recover happy. For Amy, it was never a question she would end up working in athletics! She spent her grade school years playing all types of sports and adventuring outside as often as possible. Amy graduated with a Master’s degree in Athletic training from the University of South Florida, followed by a two year internship assisting ATs in the Track & Field department at the University of Florida. Through all her experiences, she fell in love with RP's products which is what led her to joining the RP Sports team and her expertise has made for wonderful addition. Amy loves having the chance to share our products to help the athletic community excel with the best performance & recovery tools in the business. Sarah has always been a health & wellness guru which has drawn her to the sports & performance market. Her positive energy and motivation to help others is her driving force in her role here at RP. When Sarah isn't processing orders and managing shipments, she can be found skiing on the slopes & spending time with her family. She is a ray of sunshine, even just speaking on the phone with her you can feel her kindness, warmth & genuine dedication to assist you. Have questions about your order or shipment? Shoot Sarah an email and you will know exactly what we mean 😉. We don’t call him Master technician for nothing! Steve is a mastermind of machinery, he can take apart anything and put it back together better than new. His 15+ years as a master technician, coupled with his love for sports made him the perfect fit as our warehouse manager & master technician. If you have any service or repair related questions, Steve is your man! Prior to joining RecoveryPump in 2014, Keith worked with the Houston Rockets as Rehabilitation & Performance Coordinator/Assistant Athletic Trainer. Garnett went on to earn a master's degree in physical education/exercise and sports science from Central Missouri State University and a Bachelor’s degree from the University of Oklahoma. In his tenured career, Garnett, assisted athletes in performance health from all over the sports world including teams in the AFL, NBA, NFL & more. As a member of several prestigious groups, including the National Athletic Trainers Association, the National Basketball Athletic Trainers Association, the National Academy of Sports Medicine, the National Society of Black Athletic Trainers and former Chair of the NATA's Ethnic Diversity Advisory Committee, Keith understands the importance of sports performance and a dedication to providing safe & effective tools to help athletes' achieve their performance goals. Jake’s love for sports & performance can be traced back to his high school years, through to college where he played baseball at Old Dominion University. Jake knows first hand what it means to go through rehab & recovery due to an injury that resulted in a labrum surgery. His experience lead him here to RP Sports where it is his primary goal to assist AT’s, Athletes and other fitness professionals find the best tools on the market to speed up their recovery and stay at the top of their game. Jake is not only our Mid Atlantic Recovery Sales Specialist, but an avid user of the product. Jake is a "practice what you preach" kind of a guy, doing blood flow restriction training 5-6 days a week and making the most of his recovery time after Beer league softball with RecoveryPump. If you are in the Mid Atlantic area and you are interested in learning more about our products, contact Jake today. Colin has been immersed in the sports and performance world his entire life. Developing a passion for being an athlete at a very young age, he played sports throughout his school career including collegiate sports at Dartmouth College where he played soccer & rugby. That’s not all, he currently competes in a variety of martial arts including Muay Thai and Jiujitsu. With his experience, there is no doubting that Colin has the knowledge of what it takes to be an athlete, which is what landed him with RP Sports. Now, Colin loves the opportunity to provide all levels of athletes with the tools and equipment they need to be the best of the best! 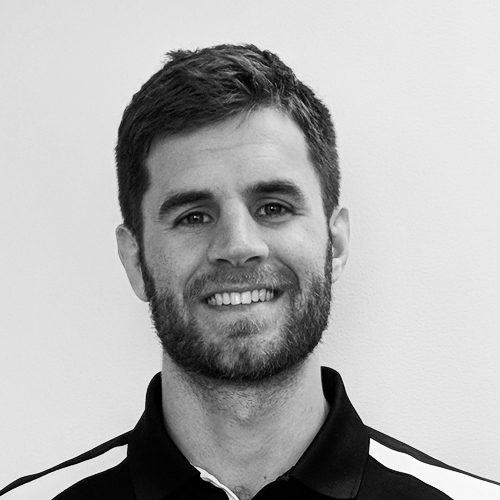 Benjamin is one of our newest recovery sales specialists with years of successful experience as an athletic trainer, he is a strong believer in helping athletes perform to their fullest which is what brought him to the RP Sports team! He is passionate about educating athletes & ATs alike about the tools to help them reach their peak performance. When he isn’t out saving the athletic world one RecoveryPump at a time, Benjamin enjoys golfing and spending time with family & friends. If you are in the south-central area and you need the most innovative sports technologies to get your athletes to the top of their game, Benjamin is your man! New as an RP Sports sales specialist, Skylar is no stranger to the athletic world. 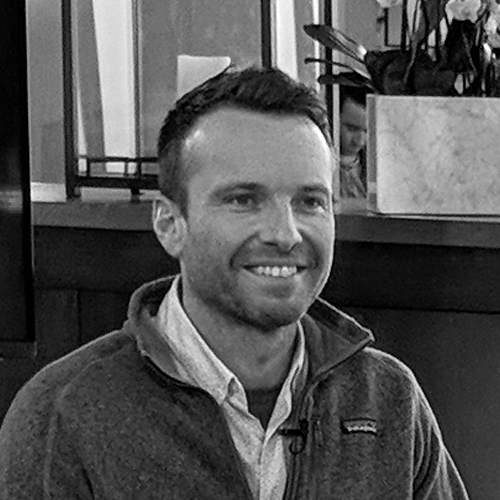 As one of our clients, Skyler started in the MLS in 2007, with a primary focus that was not the classic sports science approach but injury prevention through scalable detection and recovery strategies. These strategies focus on increased training availability, not load management. In 2015 he organized various club partnership to open the first US professional soccer recovery lab integrating daily recovery, prevention, integrated soft tissue mobilization, nutrition, and anti-inflammatory modalities. As an ATC, FMS, and massage therapist he was overseeing 4 athletic trainers, sports nutritionist, massage therapists, chiropractors, and sports scientists for all FCD teams, u12-18 Team and the pro team. Jump forward to 2019, Skylar went from being an RP Sports advocate, to a member of our team. His experience & passion for his profession is a driving force to assist our clients with the assets they need to not just play the game but dominate it. If you are in the north central region, Skylar with be your resource to get your athletes on board with the most cutting-edge technologies in sports science. Colt has a wide variety of experience from multiple Fortune 200 companies, to a global start up and everything in between. He is our go-to man for everything international. Colt specializes in building lasting international business relationships with our global partners. He is pioneering the global efforts of recovery & performance technologies, making sure that no matter what country an athlete is from, they can play at their best with the safest & most effective sports technologies. Are you outside of the US and looking for sports performance products with years of clinical evidence of efficacy? Reach out to us today and Colt will be happy to help!